Sunsets in Hawaii are so colorful and spectacular and are often the most entertaining part of the entire day. I hope you have enjoyed this amazing moment from the island of Kauai! 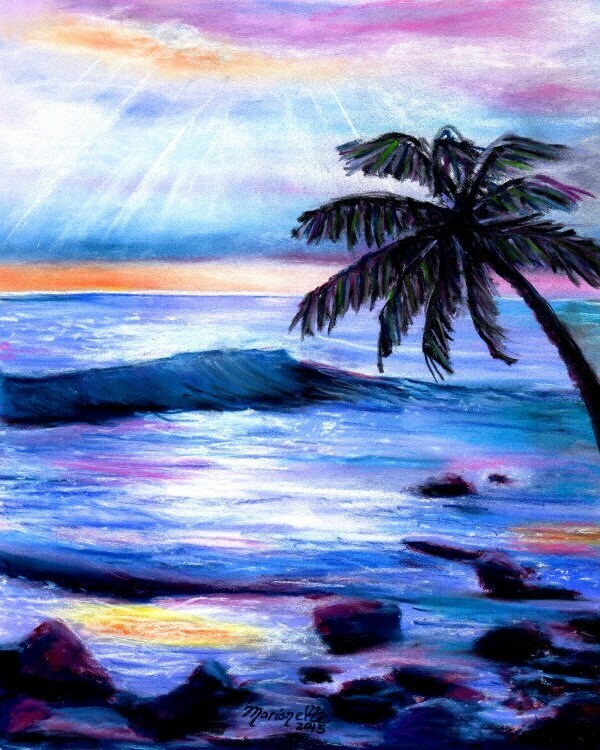 "Heavenly Hawaiian Sunset" - This giclee print is signed by the artist and is printed with archival inks on radiant white watercolor paper. It is a reproduction of an original pastel painting and comes packed in a clear sleeve with a backing board (unframed). Colors may vary slightly from monitor to monitor. A beautiful piece, packaged carefully and arrived promptly! Very happy with my order- thanks, Marionette!